2014 Jeep Grand Cherokee epitomizes the very essence of luxury and style. Apart from this, the fabulously designed model also includes a wide array of eco-friendly features. With the price of fuel rocketing sky high, it is all but natural for the users to focus on the deals of fuel optimization. In its bodywork and styling; the 2014 Jeep Grand Cherokee comes up with a glamorous presence. Strength, confidence and elegance happen to be the defining features of this latest piece of offering. As a user, you are sure to be bowled over by its majestic aura. The strength and performance of its engine dwells on the power of the diesel technology. The technology in turn enhances the quotients of fuel efficiency, with decreased levels of carbon-di-oxide emissions. The engine (V6) of three liters is supposed to ensure seven thousand four hundred pounds of torque. It is accompanied by an automatic transmission of eight speed. The aforementioned engine generates 240 Horsepower. There are two other trims to come by, while the trim equipped with V8 engine generates 360 HP; the other of 3.6 liter ensures 290 hp. As far as the interior styling is concerned, there is an avid blend of class, touch and technology. Classy touches of wood work, detailed stitching and the awesome trademarks of premium headliner besides the branded presence of audio system and premium sunroof are sure to appeal to your zeal for luxury. Cap less fillers of fuel and the presence of fog lamps also include the package of innovation. 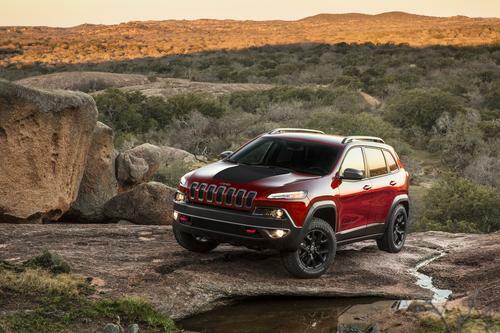 The jeep with all its focus on stylishness and perfect deal of detailing is sure to excite tech savvy SUV users. You can log on to the official website for enquiring about availability. Price of this vehicle starts from 28,795 US Dollars. With all its unique features and novel standards, the sports utility vehicle will surely outshine its rivals.